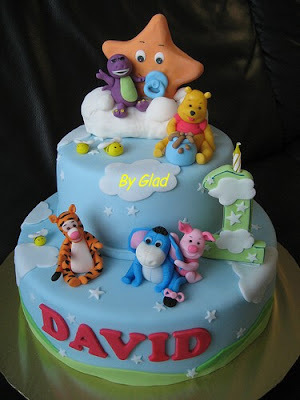 David's mom wanted a Pooh theme cake for photo taking session. She specifically requested for the cake colour to be light blue with stars and cloud. She leaves the position of those figurines to me.... the big star is not in her request, thought it will be fun to have a big star with pacifier since this is for baby. Happy Birthday David!